Now that the City of Jacksonville is moving forward with taking full control of the Jacksonville Landing, here are ten types of uses that should be considered for the site's future before moving forward with complete demolition of a publicly owned turnkey commercial space. 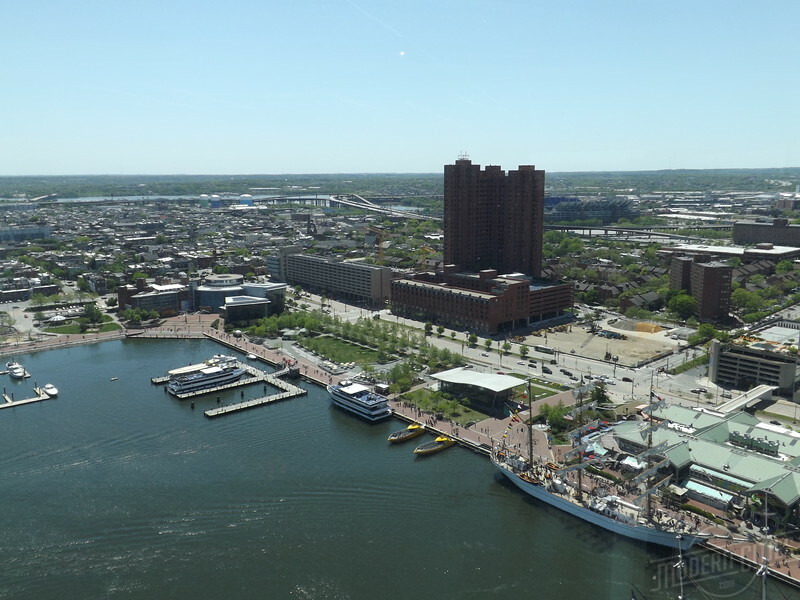 The 8,000 square foot Baltimore Visitors Center anchors the Inner Harbor’s $7 million, 3.4-acre West Shore Park. For years, the Duval County Tourist Development Council has had its eyes set on the creation of a museum-like visitors center for Jacksonville. City Council member Lori Boyer has spearheaded an effort to establish a visitors center of quality along the Northbank riverfront as a place where visitors could learn about the city’s history and attractions. In late 2018, Boyer announced plans for a $850,000 renovation of the Times-Union Performing Arts Center to include a new downtown visitors center, kids’ music space and restaurant, and tributes to Jacksonville’s musical heritage. Obviously, with the recent $18 million settlement approved, placing the Jacksonville Landing under the city’s control, progress has been made. Now we have a chance to do this right. Given the Landing’s centralized location and history with attracting out-of-town visitors, very few would argue that it is a superior location for visitors center and the prescence of existing structures suggest money budgeted for the proposed visitors center could be used to stretch a lot further in enhancing the end user’s experience. 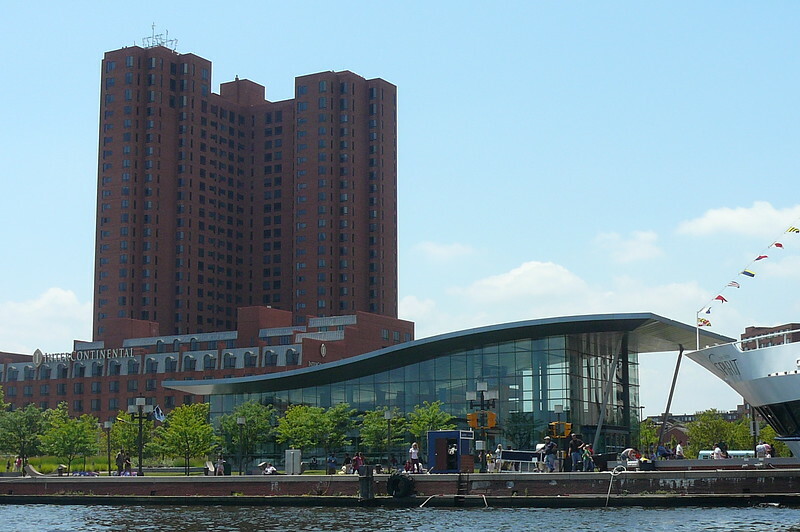 Completed in 2004, the Baltimore Visitors Center offers visitors the opportunity to catch up on special events, purchase tickets for attractions, museums, tours, and harbor cruises, pick up brochures, make reservations for dining and lodging, and learn about the city’s history, arts, neighborhoods, and shopping—all in one convenient location. The center has also added a gift shop featuring items for sale that are specific to Baltimore’s history and culture. Decked with with 10 venues and two bars, Finn Hall opened in December 2018 in Downtown Houston. The 20,000 square foot food hall is located on the ground floor of the historic JPMorgan Chase & Co. building. Finn Hall is the first of four food halls currently planned or under construction in Downtown Houston. Food halls have become the sharing economy for restaurants. They’re also one of the hottest trends in the restaurant business and retail right now. According to a report by commercial real estate firm Cushman and Wakefield, there were about 70 food halls in the country in 2015. Within a year that number had grown to 86, and by the end of 2017, it had reached 118. As of August 2018, New York City alone was home to 25 active permanent food halls with another 10 either under construction or in development. 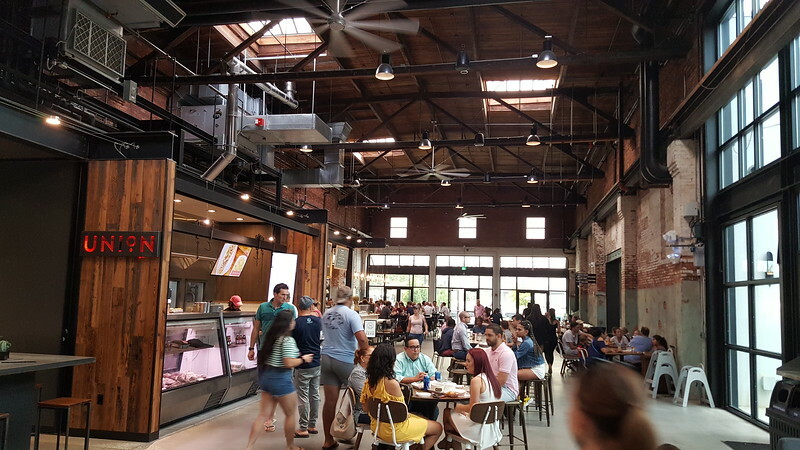 In recent years, food halls have also popped up in multiple cities across Florida, including Miami, Tampa, Orlando, St. Petersburg, Lakeland, and Winter Garden. Expected to triple throughout the American marketplace in a span of five years, the driving principles behind the modern food hall are authenticity, quality, and celebration of food culture. These principles tend to be the complete opposite of the traditional American food court, which focus on fast-food mantras of familiarity, predictability and mass production. The most successful food halls also tend to contain interactive layouts by hosting live entertainment and social events, which allows consumers to experience the space in a variety of ways. 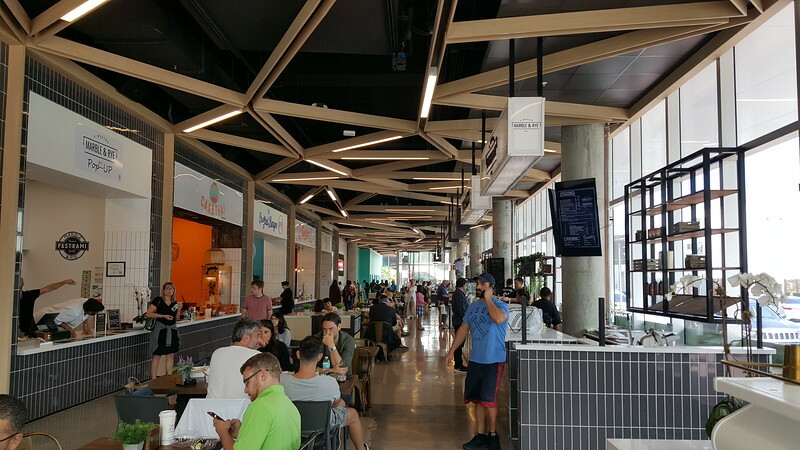 Miami Beach’s Lincoln Eatery recently opened in a 9,600 square foot space located in an Art Deco building also occupied by a Macy’s and Marshall’s. Located one block north of Lincoln Road, Lincoln Eatery features 13 different dining and drinking options. 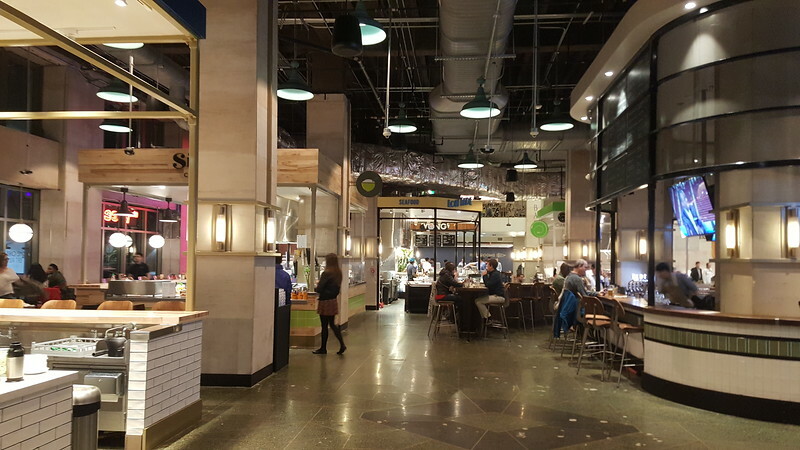 The majority of food halls tend to open in existing spaces as opposed to new construction, which caters to the driving principle of authenticity. In Miami Beach, Liberty Market recently opened in a ground floor space below a Marshall’s. Tallahassee’s first food hall, Urban Food Market, opened in a space formerly occupied by a Montgomery Ward. 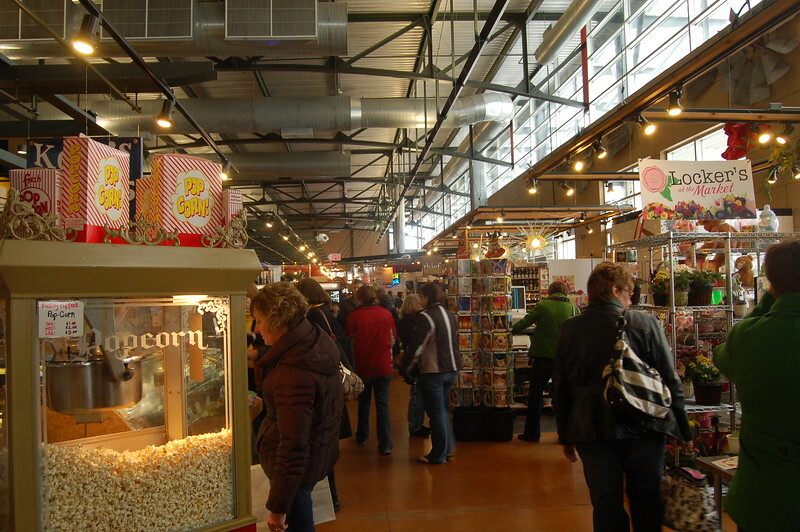 Although there are variations in size, most food halls range between 10,000 and 50,000 square feet. At 63,000 square feet, Eataly Chicago is one of the largest in the country. At 9,600 square feet, Miami Beach’s Lincoln Eatery is considered a mini food hall. The mini food hall, typically 10,000 square feet or less, is a relatively new trend in the industry that has emerged since 2015. With the Northbank’s employment density and the Landing site’s central location to nearby hotels, a mini food hall concept centered around local vendors showcasing the city’s culinary authenticity is a tailor-made use for a site with existing retail and dining structures, already featuring public restrooms, HVAC, hoods and other mechanical systems. The presence of these elements within an existing structure are critical to keeping redevelopment costs low, leading to affordable leasing rates for local small businesses and operators. Armature Works is one of two food halls located three blocks a part just outside of Downtown Tampa. Situated in a warehouse built in 1910 that once was the storage and maintenance facility for Tampa Electric’s (TECO) streetcar system, the $20 million adaptive reuse development, includes a 22,000 square foot food hall called Heights Market, where several vendor-like stalls leased by local independent chefs and eateries. Similar to food halls, public markets filled with local, independent businesses are more popular now than ever. 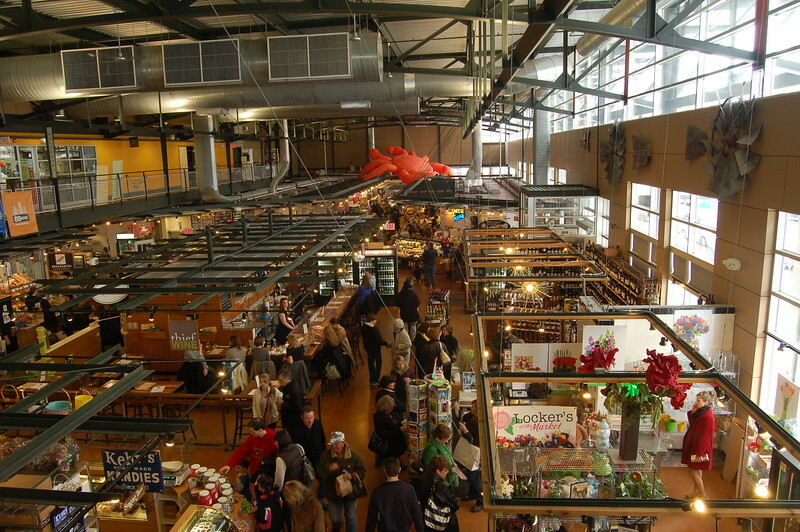 Envisioned as a space that would support smaller, local businesses, the Milwaukee Public Market opened in fall 2005 at a cost of $10 million. Its steel, glass and brick design was selected to pay homage to the industrial history of the urban district it anchors. Its 18 vendors and eight restaurants employ over 500 residents and consume roughly 14,000 square feet of space, with the rest of the 28,000 square foot building used for support services. These vendors sell everything from bakery items, seafood and meats to spices, coffee, wine and cheese. Since its opening, the market has become a hub of social and economic activity that residents and tourist view as a culinary destination that offers a food-centric placemaking experience. With gross sales per leasable square foot above $1,400, the market attracted 1.79 million visitors to the city’s Historic Third Ward in 2018. Those visitors then find their way into other stores and restaurants within the district. It’s also open seven days and nights a week. To promote economic vitality within the Historic Third Ward neighborhood, the city of Milwaukee, and the State of Wisconsin. To support small businesses that offer unique products and expertise. 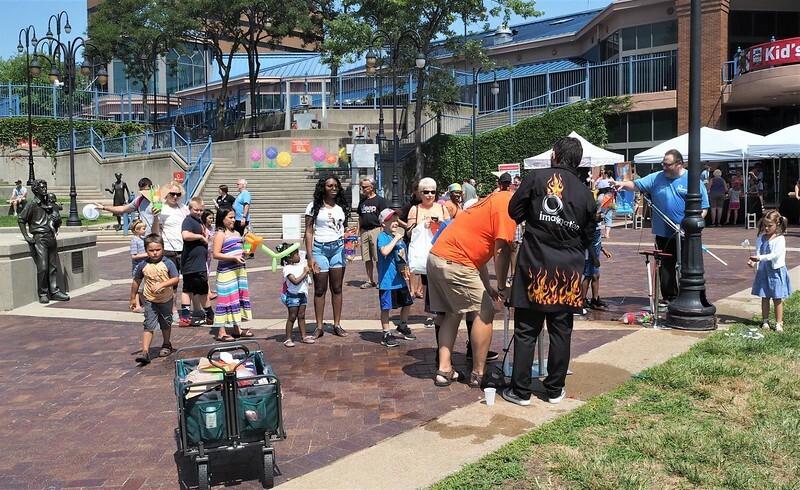 To support our local artists, crafters and food purveyors by providing a unique opportunity during the summer months with our Outdoor Urban Market. To attract urbanites, suburbanites, tourists and people of all backgrounds, races and creeds. To create employment opportunities through new business formation. To cultivate a gathering place for community residents and downtown employees. To expand food choices for consumers that reflect Milwaukee’s vibrant, international heritage. To enhance knowledge of food sources and nutrition through educational programs and direct interaction between producers, vendors, chefs and consumers. To engage the public through private events, cooking demonstrations and classes. 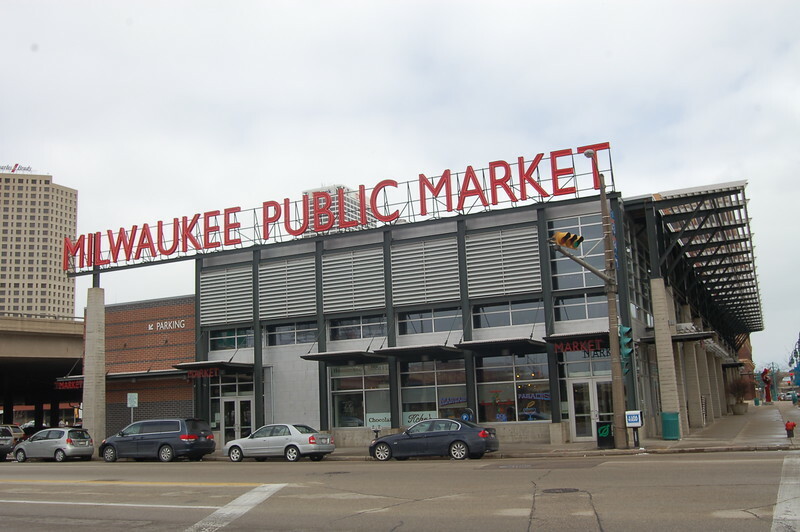 Like the Milwaukee Public Market, strip the name away from the Landing and you’re left with a big open structure that was uniquely designed to pay homage to the wharves that once dominated the city’s downtown riverfront. Considering this property was the location of the city’s original Pike’s Place-style public fish market, a public market is a use that would also pay homage to Jacksonville’s maritime history. Ripley’s Believe It or Not Museum in Baltimore’s Harborplace. Recently, the Museum of Science & History (MOSH) released renderings for a massive expansion project that will require raising $80 million to successfully pull off. Last year, the Jacksonville City Council established a Task Force on Civil Rights History to review the city’s “history with regard to events, persons, places, themes and causes related to America’s civil rights movement and suggest ways that persons, places and events important to the national movement that have connections to Jacksonville can be properly recognized and explained for the education and benefit of all our local citizens and for visitors to Jacksonville who may be unaware of the City’s important role in the civil rights movement.” One of the committee’s recommendations was to encourage the City of Jacksonville to pursue a Civil Rights Museum. For years, the Jacksonville Historic Naval Ship Association has pushed to bring and convert a decommissioned U.S. Navy vessel into a naval warship museum for downtown. Another non-profit group, AQUAJax, has lobbied since 2013 to bring a new state-of-the-art aquarium to downtown. There are lots of great ideas for cultural attractions to draw tourist into downtown, but no money or facility to possibly accommodate the majority of them has been available - until now. Now, Jacksonville has a soon-to-be vacant, $37.5 million, 126,000 square foot structure to play with. While the Landing’s days of being a full blown retail center are over, the taxpayer-funded steel skeleton of the structure lends itself well for the re-purposing of uses that require high ceiling heights and larger blocks of covered open space. As illustrated in Toledo and Baltimore below, adaptive reuse can also include family friendly cultural destinations that attract suburban residents and tourist into the city. In Toledo, Portside Festival Marketplace was supposed to revitalize this city’s downtown when it opened in 1984. However, six years after its grand opening, the 100,000-square-foot shopping center closed for good. After the closure of Portside, a mayoral committee was appointed to find the highest and best use for the site. 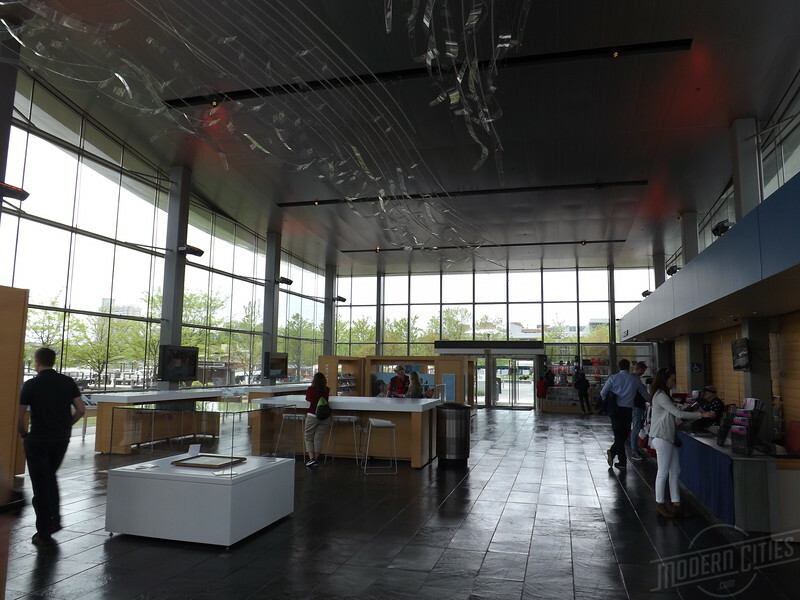 Today, 80,000 square feet of the former marketplace is a non-profit, hands-on science museum called The Imagination Station averaging 216,000 visitors annually. 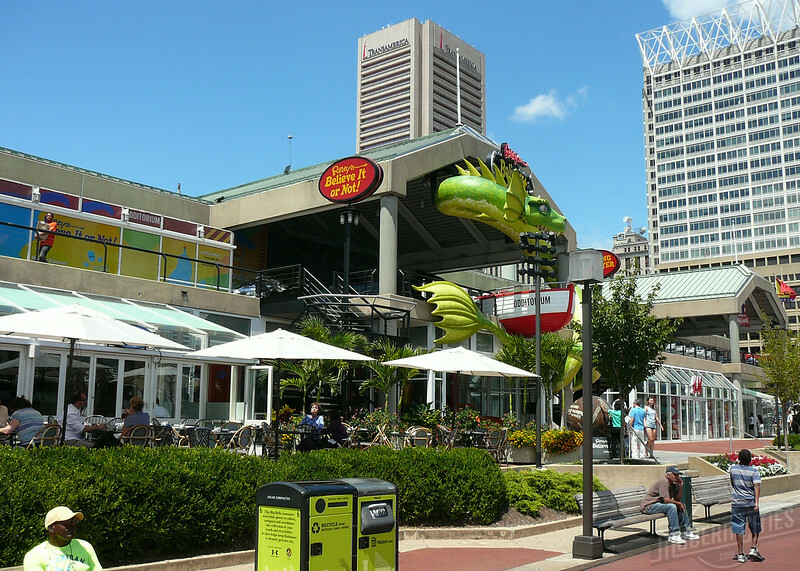 In Baltimore, the second floor of Harborplace’s Light Pavilion was converted into a Ripley’s Believe It or Not! Museum in 2012. Open 365 days a year, the museum helps attract crowds to Baltimore’s Inner Harbor, leading to economic opportunity for surrounding businesses.